We are happy to announce that you can now more easily manage your estimating library with the new import and export functionality. This will help especially when managing larger libraries with hundreds or thousands of materials and dealing with price changes across many items. 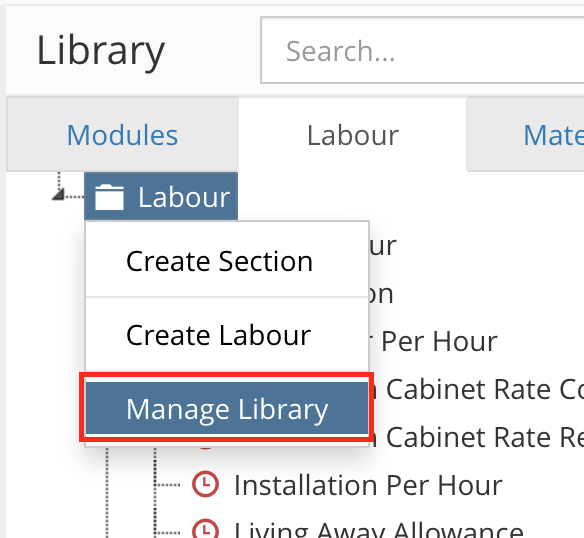 To access this new functionality, simply right click on the section at the top of your labour or materials library and select “Manage Library” as shown in the screenshot below. This will take you to a page which allows you to export your existing library to CSV format. You can then edit this document in your favourite spreadsheet editor. You can edit the name, cost, unit (materials only) and section. You can also add new items to the library by adding new rows to the spreadsheet. Do you find that every time you open the active quote/job dropdowns that the quote or job you want is never listed? 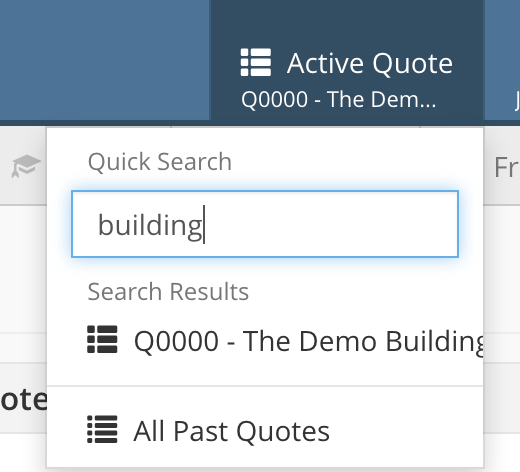 Well now it’s easy to quickly find the quote you are looking for with the new quick search feature. Simply open one of the dropdowns and start typing, then pick the quote or job you are looking for. We are also changing the way the current active quote and job are displayed in the left sidebar to make it a little clearer what they are doing there, as new users can find it a little confusing. There has been a long standing issue that can take you by surprise when deleting a Labour or Material item. If that item is used within a Module, the name will be set to “null” and won’t be added to the quote as the underlying item has been deleted. The fix for this is an amendment to the confirm delete dialog that prevents you from deleting that item if it is still used in any Modules. It also lists the Modules so that you can amend them if required and then delete it. 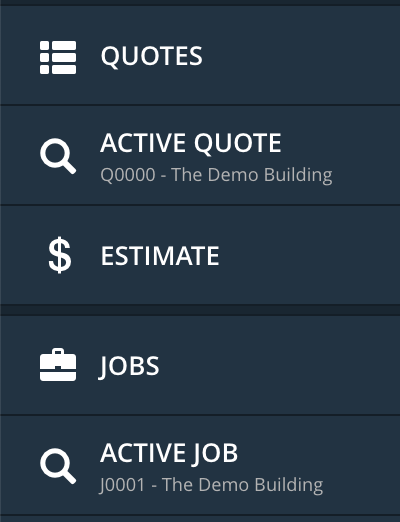 You have always been able to add quotes from suppliers into your estimates. 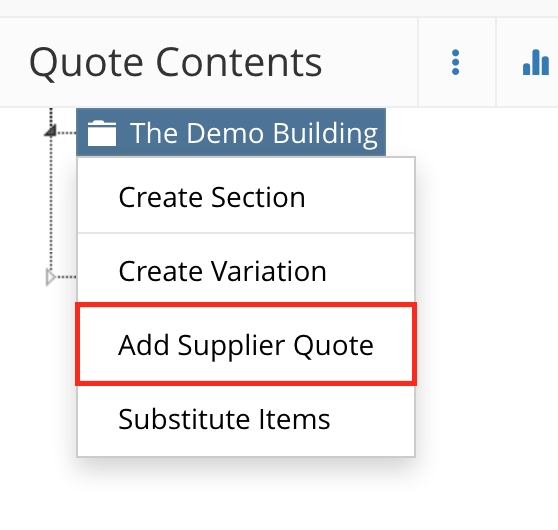 However it can be a little confusing for new users that they should be clicking the “Add a Quote” button, as they think they are already working on a quote. We are making a change to the wording so that it will now say “Add Supplier Quote” instead. This should make the action clearer and easier to understand for newer users. Thanks for reading, and as always, if you have any questions, please don’t hesitate to get in contact with us.